Israeli settlers and forces have once again stormed the al-Aqsa Mosque compound in the Israeli-occupied Old City of al-Quds (Jerusalem) and engaged in scuffles with Palestinian Muslim worshipers there. On Sunday morning, a large number of illegal settlers, escorted by a group of Israeli soldiers, stormed the holy site. They were met by strong opposition from the Palestinians, who were performing morning prayers there. Israeli soldiers used teargas and fired rubber-coated steel bullets to disperse the protesters. Several people are said to have sustained gunshot wounds during the clashes. At least four Palestinians were also arrested. Meanwhile, the Palestinian Prisoners’ Center for Studies (PPCS) has announced that Israeli forces have arrested at least 330 Palestinians since the beginning of the holy Muslim fasting month of Ramadan on June 6. Spokesman for the PPCS, Riyad al-Ashqar, said on Saturday that there are many women, children, senior citizens, people suffering from various illnesses and former prisoners among those arrested. He added that more than 60 children, including a 10-year-old, have been detained since the start of Ramadan. There are also more than 21 women and girls among the detainees. Palestinians are angry at increasing violence by Israeli settlers at the al-Aqsa Mosque compound and their attacks on Palestinian property, saying the Tel Aviv regime seeks to change the status quo of the sacred site. Nearly 220 Palestinians have lost their lives at the hands of Israeli forces since the beginning of last October. Or do you hate Gaza? As I walked home after finishing my interview, I thought of what I said about Gaza, the only place I have ever known, where my childhood memories were born and my family and friends live. Why don’t I love this place? I hate waking up scared, in the middle of the night, to the sound of bombs. 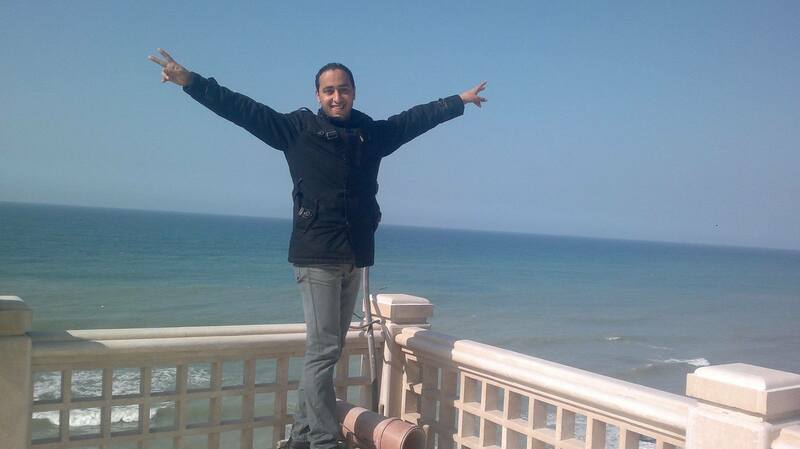 I feel pain in my chest just remembering my friend Haytham saying, “I want to travel to Algeria after I finish my internship.” He too was a physiotherapist. But I lost him, when he was just 25 years old, during the last Israeli offensive in 2014. They called him a terrorist, but he was young, kind and full of dreams. He died when a missile hit the market next to his house, not because he threw a rocket! Whenever I remember the last time I saw him, my wound opens again. Two days before his death, his brother was killed in another Israeli attack. I hugged him as he cried. I didn’t think it would be our last farewell. I hate that to most people, he has become just one number among many—one among more than 2,000 Palestinians killed that summer. 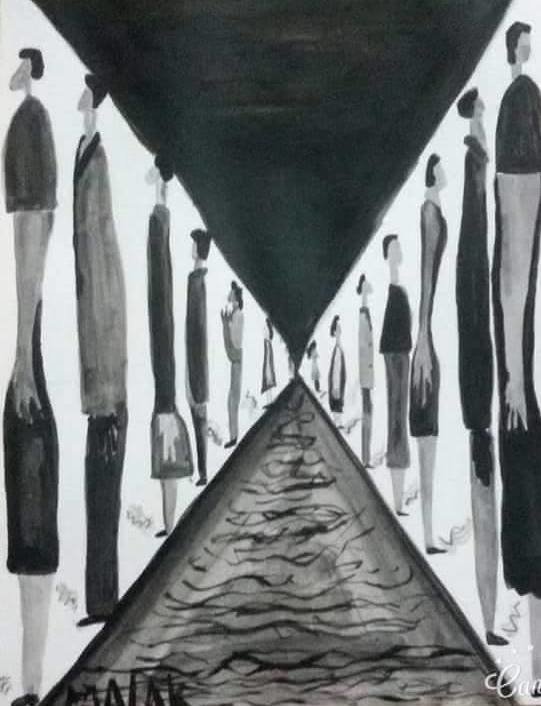 Another friend recently told me in a soft, pained voice, “I am thinking of leaving Gaza if I don’t find a job before the end of the year.” More than half of people old enough to legally work can’t find paid employment in Gaza. Although I am fortunate to have a job, my thoughts are similar. Most jobs here don’t pay enough to cover all of the responsibilities of life. He borrowed money, since his salary could not cover his expenses. He walked between his house and office to save the cost of taxi rides. Ashraf’s daughter now studies English education at the Islamic University of Gaza as Ashraf counts the days until she graduates. Ashraf’s daughter is just one of four children, two sons and two daughters. Next year, his other daughter, now in high school, will enter university. His mother, who is paralyzed, also lives with his family. Another friend, Mohammed, had started preparing for his wedding a few weeks before the Israeli offensive began in 2014, But after he rented and and was midway through furnishing an apartment, the landlord asked him to vacate it for a relative displaced from Shujaya by the July 20 massacre. So Mohammed moved his new furniture to another apartment in Al-Zafer Tower. On August 23, an Israeli attack turned the 14-story tower to rubble. Nearly two years later, Mohammed is a father, but it took him a lot of hard work to replace what he lost. And then there is 28-year-old Assad, who worked as a janitor when we first met. Later I learned he had studied biology. But because his father died when he was 17, he must take any job he can find. Gaza has few jobs and no clear future except poverty. I understand why some risk dangerous sea voyages to escape, while others commit suicide. We are all human and humans have breaking points. I just don’t know what mine is yet. Israeli soldiers kidnapped, overnight and on Sunday morning, at least eleven Palestinians in different parts of the occupied West Bank, and detained three South Africans, in the Al-Aqsa Mosque, in occupied Jerusalem. Five Palestinians were injured in Al-Aqsa courtyards. Video: Army Attack Worshipers In Al-Aqsa. The Bethlehem office of the Palestinian Prisoners’ Society (PPS) has reported that the soldiers invaded al-Khader and Nahhalin towns, searched many homes and kidnapped four Palestinians identified as Bassam Na’im al-Balboul, Nassar Mohammad Nassar, Fares Yousef an-Niess and Noureddin Mohammad Shakarna. 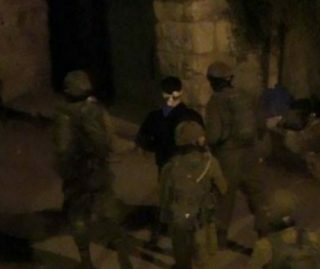 The soldiers also invaded the central West Bank district of Tubas and kidnapped three Palestinians, identified as Rabea’ Mustafa Shafe’ey, Husam Hammad Abu Zeina and Hussein Daraghma. In Ramallah, the soldiers searched a few homes and kidnapped a Palestinian, identified as ‘Eid Tal’at Rimawi, 23, from Beit Rima town. In occupied Jerusalem, the soldiers kidnapped Saleh Bader Abu ‘Assab and Mohammad Naseef, in addition to three South African men, and one Palestinian from Jenin, protesting ongoing Israeli invasions into the Al-Aqsa Mosque. Dozens of Israeli soldiers and fanatic settlers stormed the courtyards of the Al-Aqsa mosque, before the army assaulted many worshipers who protested the provocative tour. The soldiers prevented all worshipers below the age of 30 from entering the mosque, and opened the al-Magharba Gate to allow dozens of Israeli extremists into the courtyards. The mosque was only opened to Muslim worshipers after 11:30 before noon. At least five persons were injured during ensuing clashes between the worshipers and the invading soldiers. The wounded were moved to the Al-Makassed Hospital in Jerusalem. NABLUS, (PIC)– The Israeli occupation forces (IOF) on Saturday evening kidnapped 19-year-old Ahmed Khader as he was traveling aboard a car south of Nablus city. Local sources said that Israeli soldiers at Za’atara checkpoint intercepted the vehicle Khader was aboard, rounded him up and took him to an undeclared place. The detainee is the son of Palestinian lawmaker Husam Khader and he is a student of political science at Birzeit University. AL-KHALIL, (PIC)– Israeli Occupation Forces (IOF) started the construction of a separation wall near al-Thahiriya town in al-Khalil which will separate al-Khalil governorate from 1948 Occupied Palestine. Abdulhadi Hantash, the expert in Israeli settlement activity, told the PIC reporter that the wall to be established will confiscate thousands of dunums of Palestinians’ lands in al-Thahiriya, al-Burj, and Arab Al-Ramadein towns. The separation wall will hinder the traffic towards 1948 Occupied Palestine for those who work there, Hantash highlighted. The Lebanese Hezbollah Resistance Movement has dispatched a large number of its experienced fighters to Southern Aleppo to help the Syrian Army troops in battle against terrorism, provincial sources said. “Hezbollah has recently increased its presence in Southern Aleppo after taking a three-week-long hiatus to concentrate its fighters along the Syrian-Lebanese border,” they went on to say. In relevant developments in the province on Friday, military sources announced that one of the most experienced mechanized divisions of the Syrian Army, known for its wonderful cooperation with the Lebanese Hezbollah fighters, was returning to the anti-terrorism front in Southern Aleppo. The 4th Mechanized Division is well-known for fighting alongside Hezbollah against terrorists, as they provide them with armored support in the battlefields.